that was built by a friend at church! 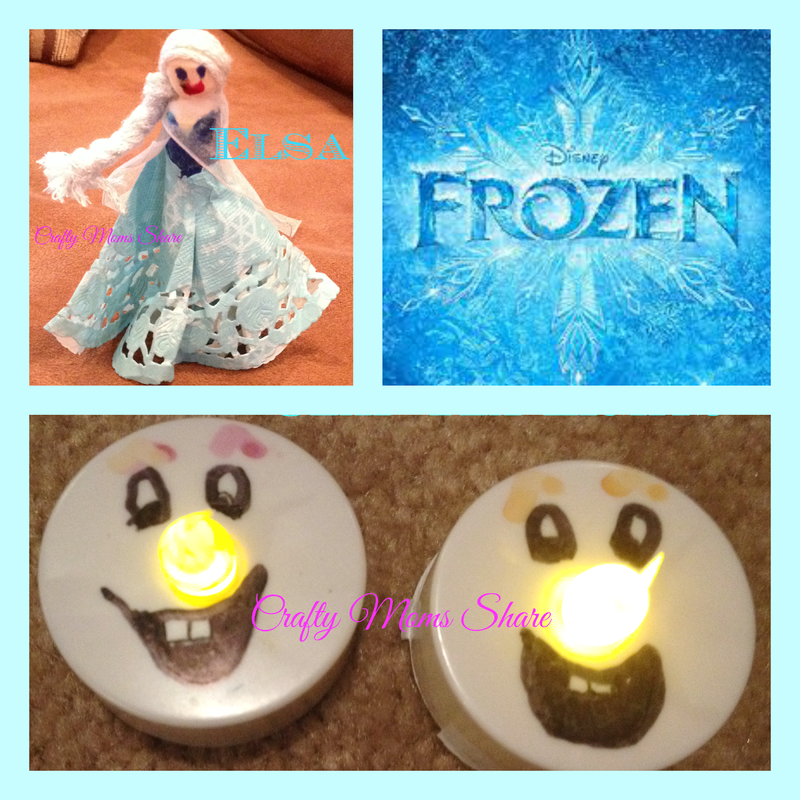 Today I thought I would share two simple Disney's Frozen inspired crafts. They both have some inspiration from The Dollar Tree. Last month we made autumn fairies with doilies we got at The Dollar Tree. Well this week I found some doilies that had snowflakes on them. I thought they would be perfect to make an Elsa peg doll. 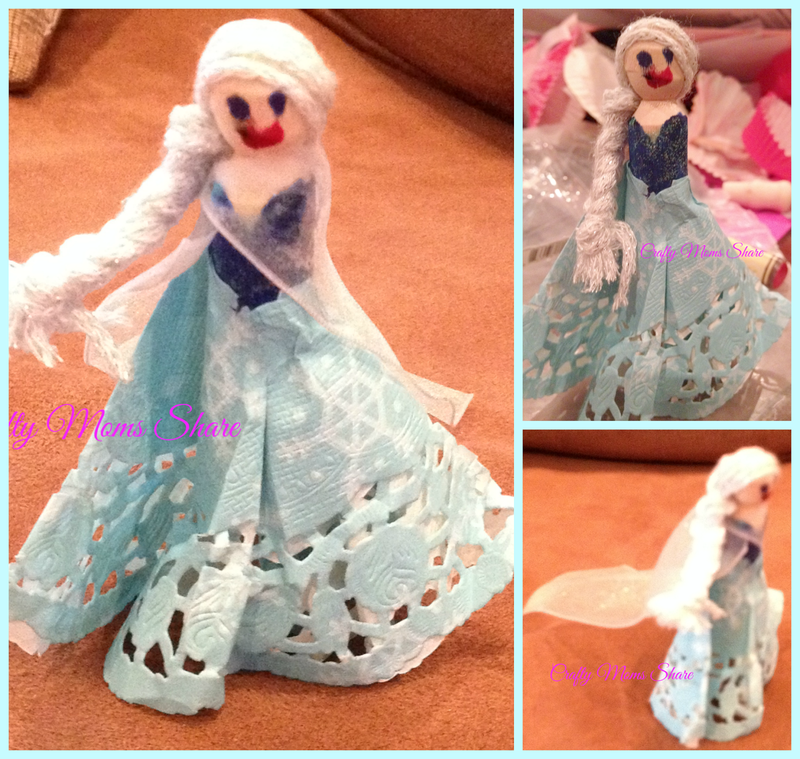 I made her an Elsa and Anna doll awhile ago, but apparently I never shared them and I cannot find the pictures. I'll have to take more when I find where Hazel left them! Hazel liked this new one better though. To make the doll I took a doll clothespin and colored the bodice with a light blue Sharpie marker that came out pretty dark. 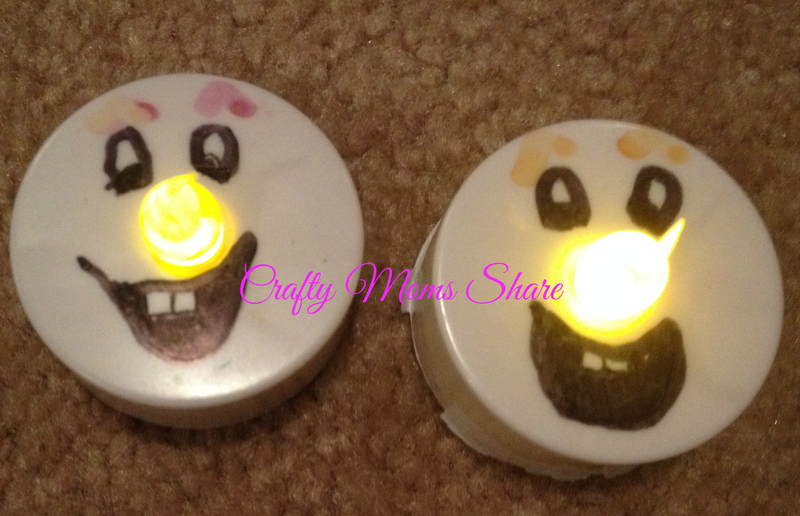 I then added a thin layer of light blue glitter glue to give it some sparkle. After it dried I cut a hole in the center of the doily and glued it on to the clothespin as the skirt. Next I took a white with silver speckled yarn and made the hair (I went back and forth with the yarn to create the length I wanted but kept it flat and glued it on that way). After the glue had time to dry I braided the hair and tied it off. I added a face and then I took a piece of three inch wide white sparkly sheer ribbon and cut it to be the cape/train. I cut one end curved to have as the train. I glued it on by wrapping it around the clothespin. 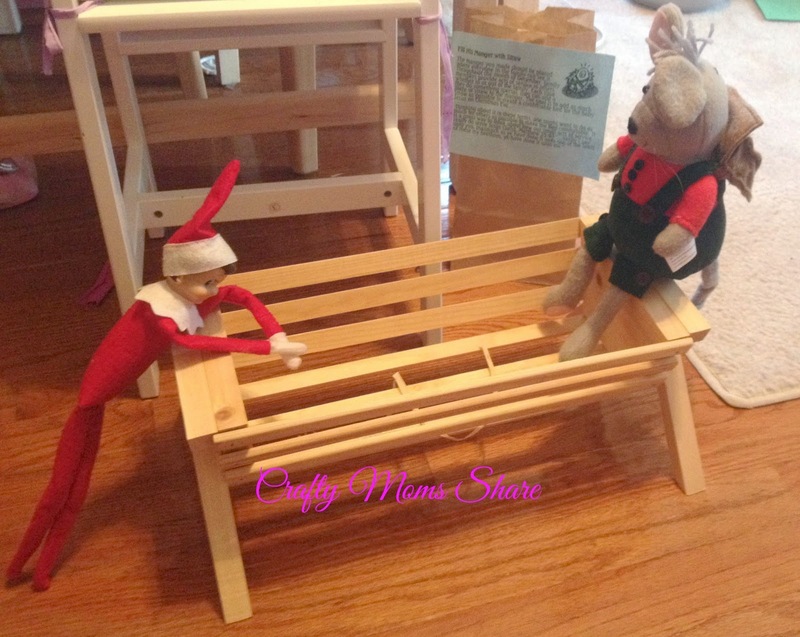 Hazel is in the process of making her own now.